WeWork has signed a deal with Martin Selig Real Estate to build a 36-floor development in Belltown. Twenty-three of those floors will be used for WeLive, its communal housing business, and most of the rest will be WeWork co-working space. WeWork, the world’s largest provider of shared work spaces, will be expanding its co-living business to Seattle, the company said Thursday. New York-based WeWork has signed a deal with Martin Selig Real Estate to build a 36-floor mixed-use development in the Belltown neighborhood. Twenty-three of those floors will be used for WeLive, the communal housing business that WeWork debuted in 2016, and most of the rest will be WeWork co-working space. 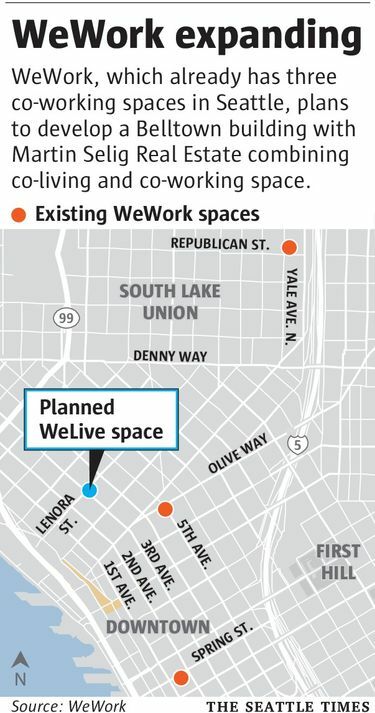 WeWork already operates three co-working centers in Seattle and one in Bellevue. The Belltown project is WeWork’s largest deal by square footage, the company said. WeWork and Martin Selig Real Estate will share construction costs, and WeWork has secured a multiyear lease for all floors of the building, which is located at Third Avenue and Lenora Street and scheduled to open in 2020. WeWork declined to give details on how much of the construction costs each party will pay, the square footage of the building and the length of the lease. 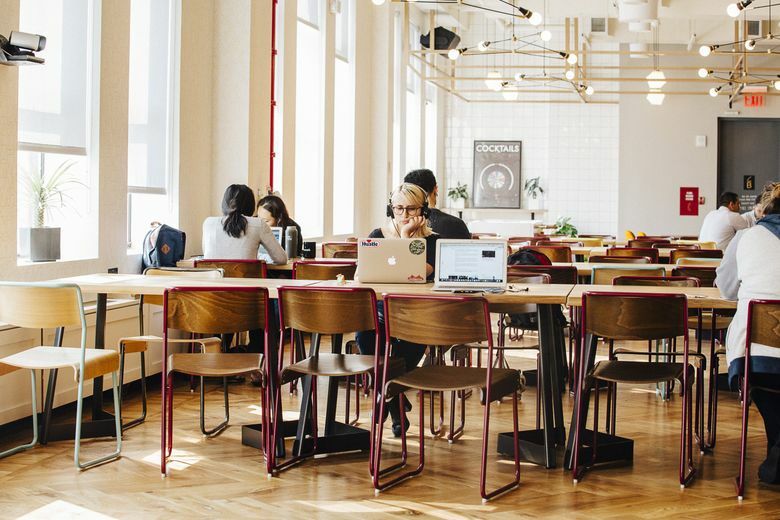 WeWork’s main business is renting out office space for teams, small businesses and entrepreneurs who want to work in a shared area. WeLive is its expansion into apartment and residential buildings, catering to tenants who want a flexible lease in a furnished apartment in a building that hosts events for residents and offers shared common spaces and amenities such as laundry rooms, lounge areas, workout studios and large kitchens. WeWork currently has 400 apartments across two WeLive locations: one in New York City and another in Washington, D.C. Both opened in 2016 and include apartments ranging from studios to four-bedrooms. WeWork’s co-working business has more than 130,000 members in more than 160 locations around the world. The company, which was founded in 2010, has its eye on rapid expansion overseas. It said last month that it was starting a $500 million fund with two of its backers, SoftBank Group and Hony Capital, to grow its business in China. WeWork also raised about $1 billion last month from SoftBank and other investors, who valued the company at $20 billion.